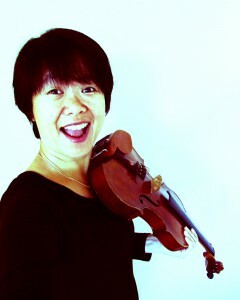 Hi, and welcome to Virtuoso, my outlet for creative solutions for violin and stringed instrument accessories. I am a mother, a music teacher, and a classical and traditional musician who is also obsessed with textiles and design. I am so happy and excited to have a business that combines all of these passions. Simple, elegant and functional define what I want to see in a product, and I use that standard for everything I create. I believe that when you invest your money and time in a violin, viola or cello, that you should have accessories that complement it, not detract from it. If I don’t love it when I use it, it won’t be here. Most of my creations arose out of my own needs or from seeing a need that wasn’t being addressed. Because of this, many of my products are unique and you will not find anything else out there like it. I hope you find something here that enhances your playing or the care of your cherished instrument; something that you haven’t been able to find anywhere else. I am also obsessed with blogging, and my favourite topics are tips for playing and teaching the violin, viola, cello and bass in a classroom or private setting. To learn more about Virtuoso products, or about string playing or string teaching, feel free to join me at my blog, SmartMusicTeacher.com for lots of tips, ideas, and teaching materials.